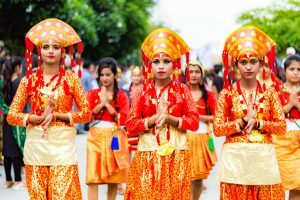 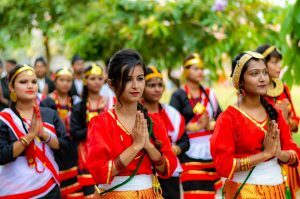 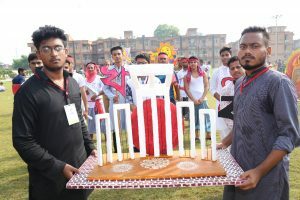 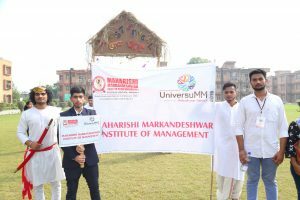 UniversuMM, the annual Youth Fest of MM(DU), is widely known for its festive ambiances driving thousands of students into ecstasy every year. 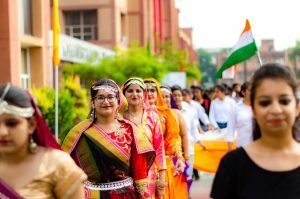 On Sept 27, the mega youth fest commenced at the University Campus with a colourful procession that incarnates the spirit of togetherness, diversity, and inclusiveness. 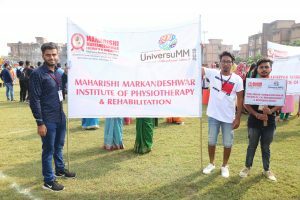 Treasurer of MM(DU), Mr. Vishal Garg inaugurated the procession event in the presence of other dignitaries by flagging off. 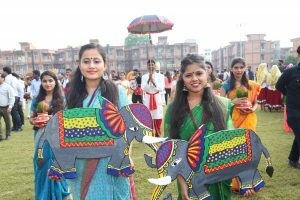 The celebration witnessed participation of student artists from various regions, states, and countries spreading the hues of creativity touching scores of artistic genres. 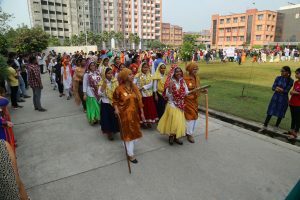 The four-mile-long procession began in the afternoon with great fervour from the administrative block of MM(DU). 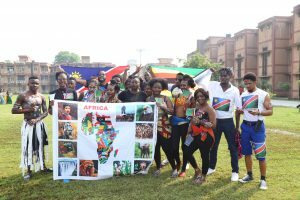 More than 1000 students (National and International) marked their presence at the celebration to show their talent and pride for diverse cultures. 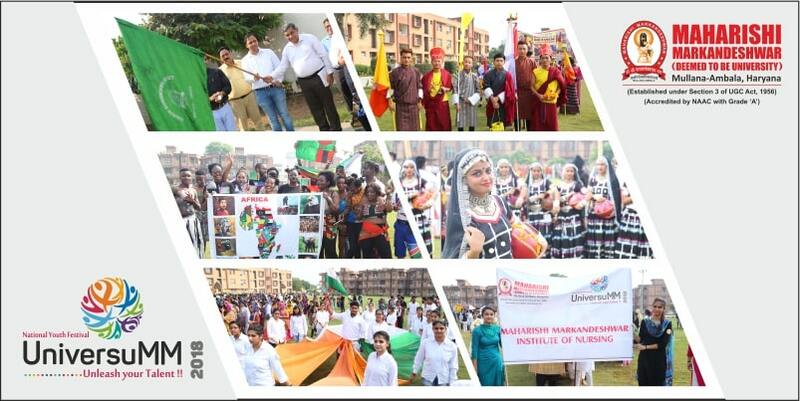 The event was an amalgamation of various art forms and cultures depicting ‘Unity in Diversity’. 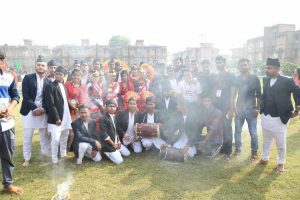 Ranging from modern to ethnic art forms, an array of captivating performances graced the occasion. 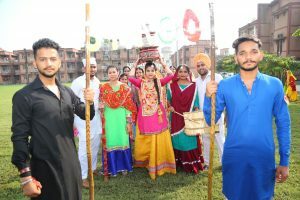 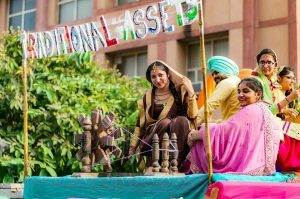 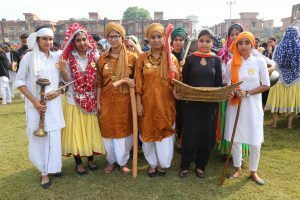 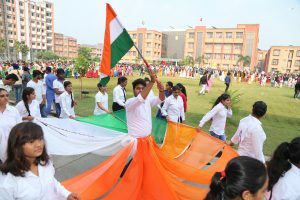 Students from various departments of MM(DU) swayed their talent during the procession ceremony. 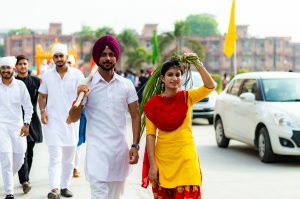 Catch a few glimpses of the UniversuMM Procession Ceremony!